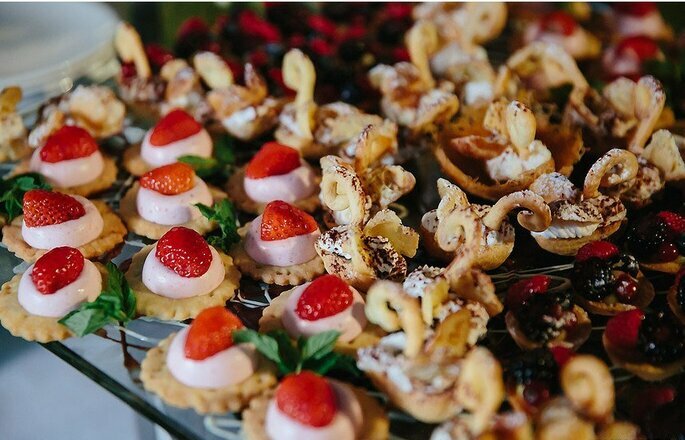 Organising a wedding is always a complex affair as you have been dreaming about this day for most of your life and you will not accept anything less than perfection. There are many important choices you will have to make before you walk up the altar, for example, the location, the venue which will welcome your guests and play host to your big day. That is why at Zankyou, we have chosen to talk about this magnificent place, found in Rome, that is much more than a beautiful venue. 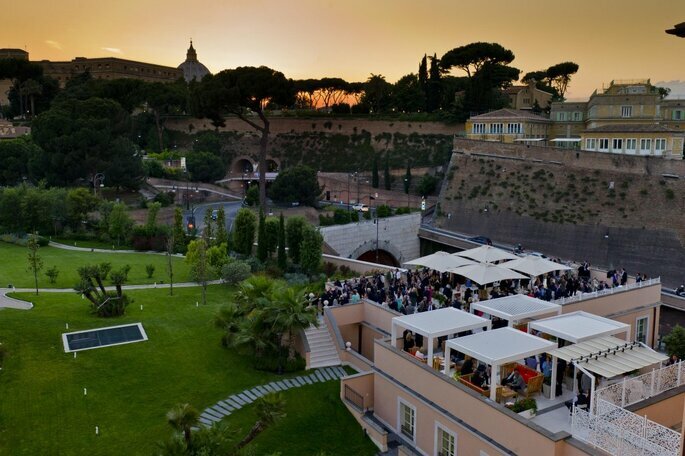 Located just steps away from the Vatican, on the banks of the River Tiber, and found in the exclusive Villa Agrippina, Gran Meliá Rome will be the perfect location to organise your big day. As you lose yourself in the elegance and grandeur of this enchanting space you will wish your day never has to end. 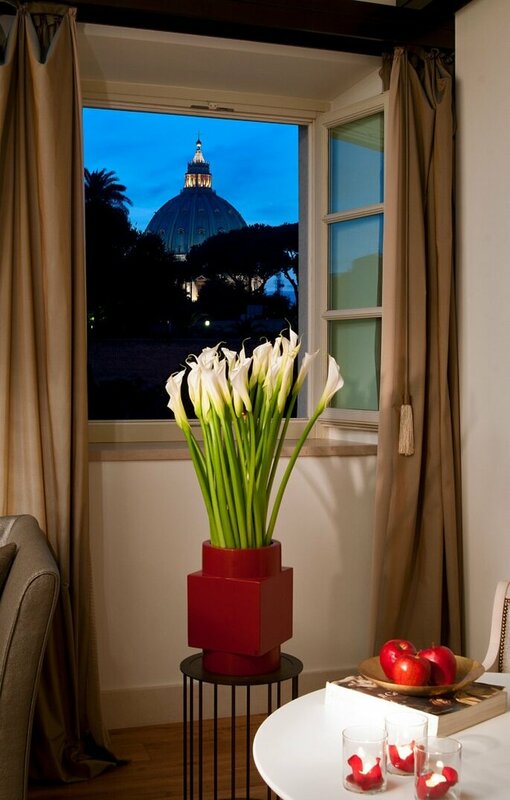 You will fall in love with the eternal beauty of Rome and the classic yet modern décor of the Gran Meliá. The incredible scenery is not only restricted to the interior aesthetics, which are of the highest quality and sought after with the intent to reflect the tastes of its guests but the face of building too. The Gran Meliá Rome is full of contrasts, as the soft colours of its structure, are in direct contrast with the sky and a garden surrounding the large, beautiful, outdoor swimming pool. 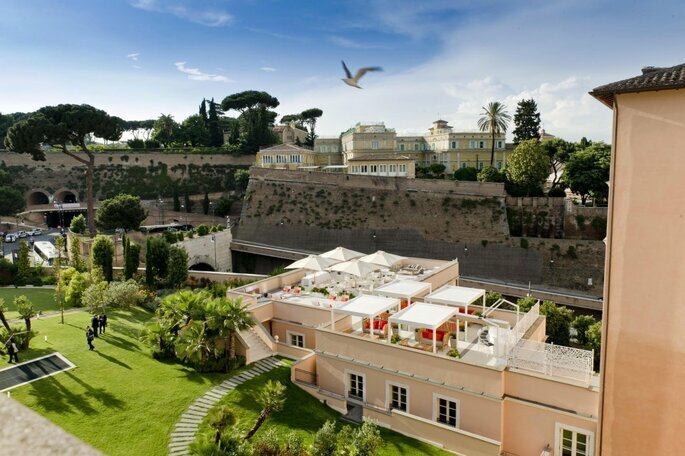 Not to mention the Pine, the large grassy space above the pool from which you can admire some unforgettable sights of the Eternal City. This venue will leave you breathless, and ensure that your photos will be memorable and bring back vivid memories as you flick through your wedding album. 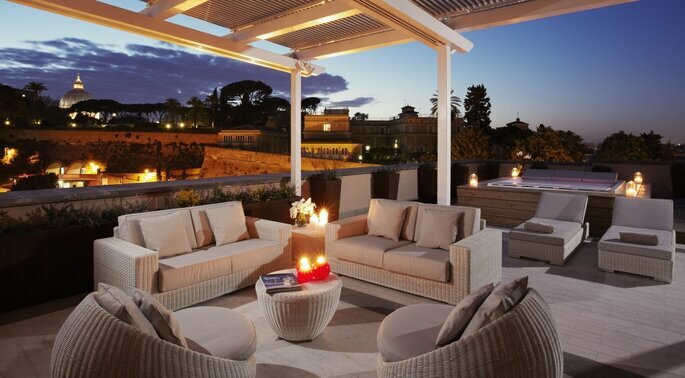 The service is one of the things that the Gran Meliá Rome prides itself on. Understanding that every couple comes with their own dreams and desires, the staff rise to the occasion and ensure that no stone is left untouched in the pursuit of perfection. 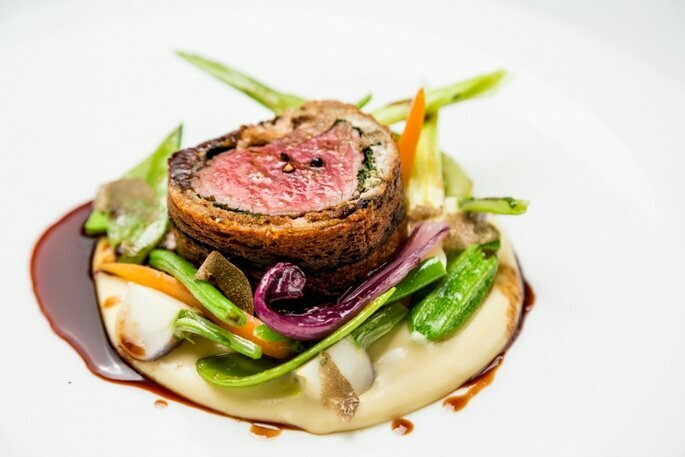 The cuisine that awaits you will surely surprise you as the chef spends hours carefully crafting each plate. In keeping with the rest of the hotel, the food is of the highest quality and its links to Mediterranean and Italian cuisine are evident. Your banquet will surpass anything you could have wished and will leave you craving more. Among the many amenities offered, My Blend by Clarins is the flagship of the Gran Meliá Rome. 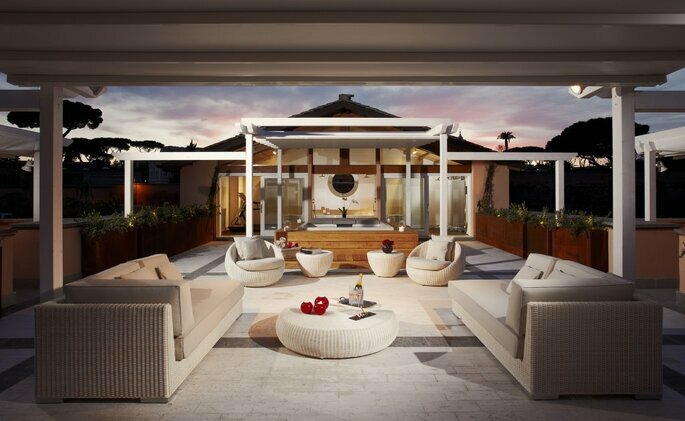 A boutique spa with an outdoor Jacuzzi, sauna, Turkish baths, luxurious showers, relaxation area and 4 treatment cabins. The spa, however, is specialised in facial skin care and offers personalised treatment following your skin type analysis. This is an additional way to pamper yourself in an intimate and deluxe manner. Finally, to use Alberto Sordi’s words, “Rome is not a city like the others. It is a large museum, a lounge to be crossed step by step.” This description aptly fits the luxurious design that is the Gran Meliá Rome. Therefore we believe that without a doubt this hotel and its location is the perfect choice for your wedding.